The Isimba Dam is due for completion in August 2018 (Current official timeline from Ministry of Energy). It is being built downstream of the whitewater section and it will flood 3 or 4 of the rapids we currently run on our one day trip. All the rapids we run in the morning of our current trip (Including both grade 5 rapids) will be unaffected. We will still be operating grade 5 whitewater rafting trips after the completion of the dam. 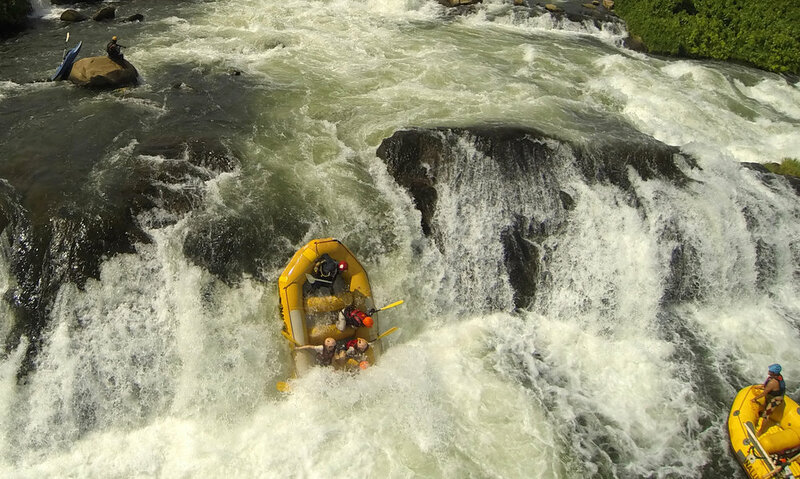 Our trip will still be genuinely one of the best whitewater rafting trips in the World. Whilst we remain incredibly optimistic about the future of rafting on the White Nile we are still far from happy about the Isimba dam. It seems to offer a low yield of electricity for an incredibly large cost, monetarily, environmentally and of course to our business and the tourism businesses in Jinja. It is still destroying some of the World's best rapids and a number of the World's best waves for kayaking. 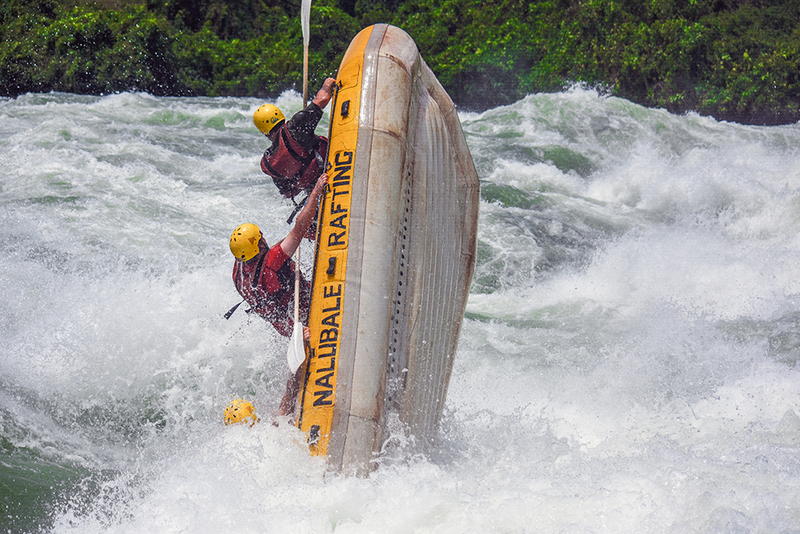 Rapids such as Malalu, Nile Special, Hair of the Dog, Kulu Shaker and Vengeance all host some of the most incredible waves ever to be surfed in a kayak. Indeed it has been these very waves that have for years attracted kayakers to make the pilgrimage to the Nile. It is the reason I came here back in 2004. All these waves will be underwater by the end of the year. It does feel a lot like the very soul of the White Nile is being ripped apart. It is not the first time in recent history that we have had a dam affect our river. In 2007 work began on the Bujagali Hydro Power Project, it was completed in 2011. We lost even more rapids back then (Not all were rafted), Ribcage, The Hump, Bujagali Falls, 50-50, Total Gunga, Surf City, Ugly Sisters, Silverback (Big Brother), the back channels - Blade Runner, Escape Hatch, Widow Maker, Brickyard, as well as a number of smaller class 2 - 3 rapids. It was hard to watch the river flood back then, and it will be incredibly hard to watch again as we lose rapids which we have enjoyed hundreds and hundreds of hours on. When the river floods we will raise a glass to the good times we had and say goodbye to some of our favourite places - places that have moulded our very lives. But once we shake off the hangover we will get straight back to work giving you the best day ever out on the River. 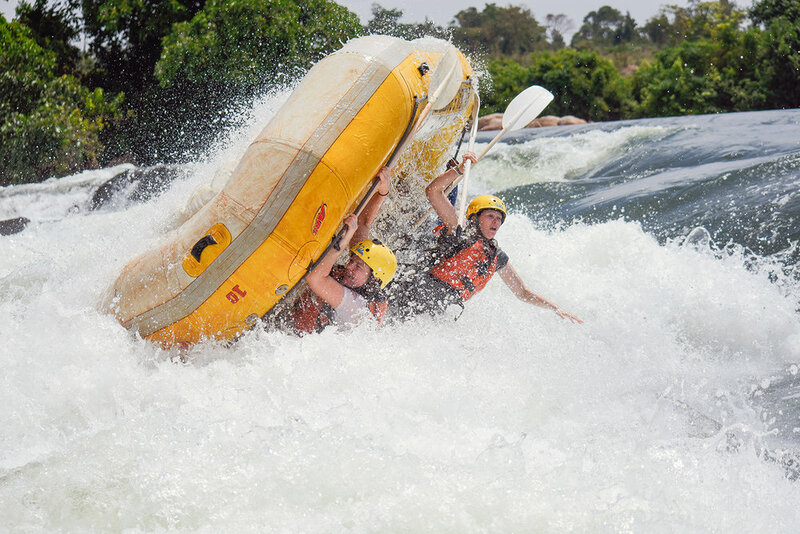 It will still be a great trip - the White Nile will still be huge, exciting, warm and safe whitewater. We'll still get to show you some of the biggest rapids in the world, surf some incredible river waves and swim lazily in the flat pools between. We still have an incredible playground to call home and we will continue to share it with you! !